One important dimension of my work with my colleagues Gerda Wekerle, Liette Gilbert and former graduate student Matt Binstock on the Oak Ridges Moraine has contained an exploration of the gentrification of conservation that is part and parcel of the greenbelt legislation in the Greater Toronto Area. This is a message that permeates much of our work, including our book The Oak Ridges Moraine Battles: Development, Sprawl, and Nature Conservation in the Toronto Region (2013). We point to the fact that greenbelt legislation may in fact solidify and rationalize a process of exurban gentrification, where wealthy rural residents pursue a rural aesthetic that is exclusionary, and that fails to recognize alternative forms of living that respect non-human nature as well as alternative forms of living that embrace social justice and public access concerns. Studies of gentrification have typically centred on the central city though there is now a growing international literature on the gentrification of the countryside as well. In the Greater Toronto Area, however, such work is lacking. 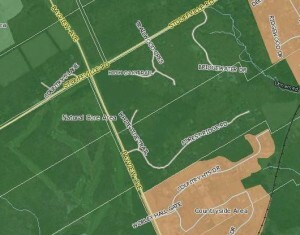 The Oak Ridges Moraine and Greenbelt legislations are typically seen as progressive conservation initiatives though they are sometimes criticized for their lack of teeth in preventing infrastructure development in the form of public roads and sewers, leapfrog development, and grand-parented housing developments. The gentrification issue, however, calls out for research where I am happy to support and guide students. 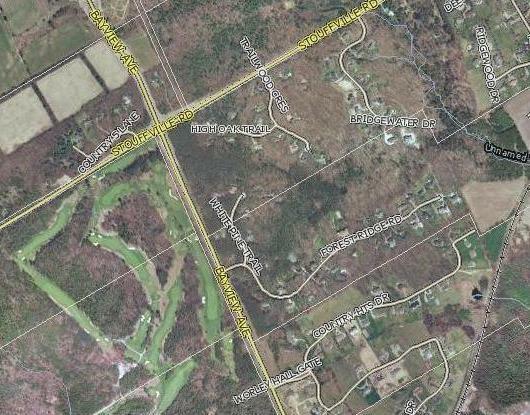 Sandberg, L. Anders, The Oak Ridges Moraine Battles: Development, Sprawl and Nature Conservation in the Toronto Region. Toronto: University of Toronto Press, 2013. Sandberg. L. Anders and G. Wekerle, “Reaping Nature's Dividends: The Neoliberalization and Gentrification of Nature on the Oak Ridges Moraine, Toronto, Ontario, Canada,” Journal of Environmental Policy and Planning, Vol. 12, No. 1 (March 2010), 41-57. Gathered from a community mapping organization, COMAP, the two maps above illustrate the relationship between conservation and gentrification on the Oak Ridges Morain. The map on top shows the golf courses, cul-de-sacs, and extensive lots associated with estate housing. The map at the bottom shows the same map with the conservation zones provided by the Oak Ridges Moraine legislation. The maps show the close connection between the estate housing areas and the most protective zone (in dark green) of the Moraine legislation, both hiding and rationalizing the estates and their impact on the surrounding nature.